​Wherever ​Antonio Brown and the Steelers go, drama appears to follow. Brown has been ​Pittsburgh's No. 1 option for the past half-decade, and is a likely first ballot Hall of Famer. Nonetheless, his overall disdain for the normal, dry personality of an NFL star has gotten AB in trouble from time to time. That continued in Week 17, as Brown was benched after a disagreement with a teammate during Wednesday's practice. Who was this teammate, one might ask? None other than Ben Roethlisberger. 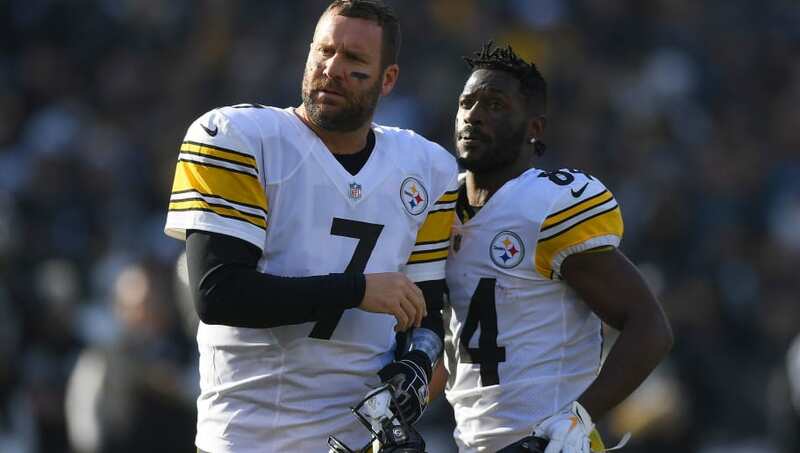 Whether it be Big Ben calling out teammates, Brown seemingly poking the New England Patriots superpower before a damn playoff game, or Le'Veon Bell's contract dilemma, the Steelers cannot separate off the field issues with success on the gridiron. It's their weak link, and surely a factor which reflects poorly on Mike Tomlin. Roethlisberger and Brown are the focal points of this story, but Tomlin's inability to deal with even the simplest of locker room dramas speaks to his pure ineptitude to hold players accountable. This is all too familiar to Steelers fans. So Le'Veon Bell and Antonio Brown quit on Ben Roethlisberger and the Steelers this year? Heads will roll in Pittsburgh, but given how averse this organization is to change, it's unlikely any major moves are made in response to yet another organizational embarrassment.